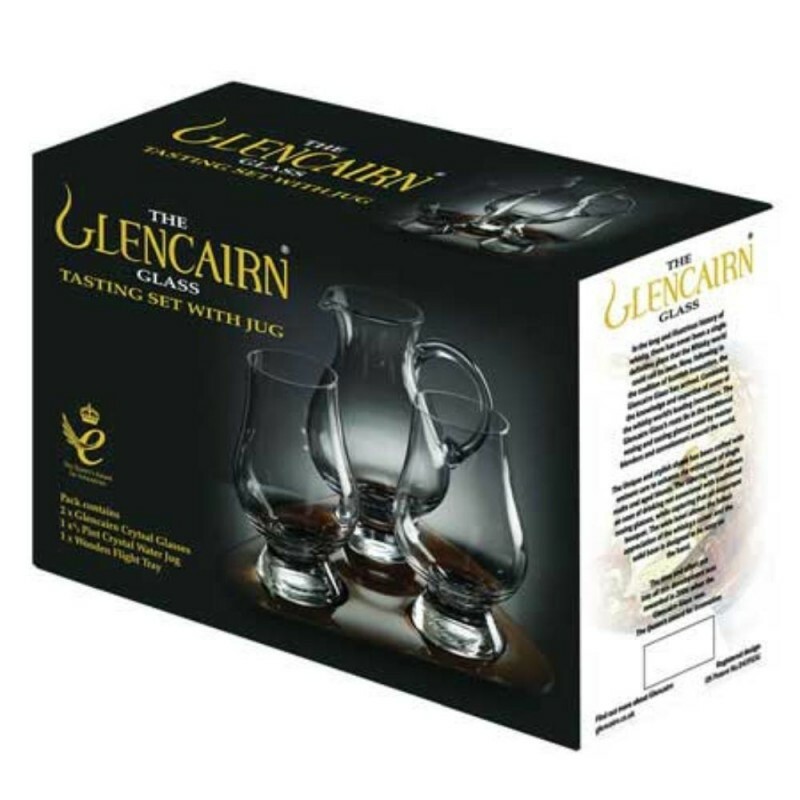 Glencairn Whisky Tasting Set (P/N 355 54 31). Champagne, Brandy, Wine... each has its own glass. 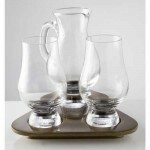 Yet whisky, the worlds most complex spirit, can be found served in anything from hi-ball tumblers to Paris goblets. Raymond Davidson decided it was about time someone designed a proper whisky glass...a single definitive glass that the whisky world could call its own. Following in the tradition of Scottish innovation, the Glencairn Glass has arrived. Its roots lie in the traditional nosing and tasting glasses used by master blenders and connoisseurs around the world. Combining the knowledge and expertise of some of the whisky world's leading innovators, the unique and stylish shape has been crafted with eminent care to enhance the enjoyment of single malts and aged blends. The tapering mouth allows an ease of drinking not associated with traditional nosing glasses, while capturing that all-important bouquet. 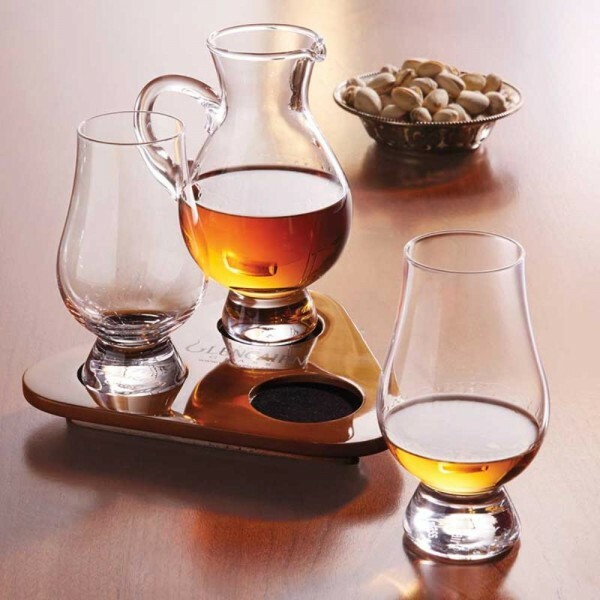 The wide bowl allows for the fullest appreciation of the whisky's color and the solid base is designed to be easy on the hand. Today the Glencairn Glass can be found at every distillery in Scotland, Ireland, and Wales as well as most in the USA. It has won accolades from around the world including the Queens Award, the highest award for business in the UK. It may have taken a few hundred years to arrive, but whisky now has a glass of it's own! Tray - Height: 20Mm 0 3/4" - Width: 171Mm 6 3/4"